Founded in 1999, the staff of Pitzen Design works with a variety of trade professionals on residential new construction and remodeling projects throughout southeastern Wisconsin. Jim Pitzen is a Licensed Architect and Certified Remodeler who specializes in architectural design for residential remodeling and custom homes. Jim’s expertise includes additions, exterior and interior remodels, kitchens, bathroom suites, lower levels, master suites, family rooms, sunrooms, and in-law suites – pretty much every space in the home. He specializes in large, complex remodels and custom homes, as well as whole house remodels. "With a belief that design solutions should be seamless, we strive to make the new home work within the available site conditions, while the main objective of a remodel or addition is that it appears to have always been a part of the home. With imagination, problem-solving skills, and technical knowledge, we create aesthetically pleasing and harmonious projects that reflect and enhance a homeowner’s lifestyle." We are an architect-led, full-service design/build company that specializes in the design and construction of outstanding residential and commercial projects. Our project experience spans over 30 years, and encompasses many building types, from smaller residential designs to large commercial developments. Founded in 1989 by Kent Johnson, Johnson Design is “small-on-purpose.” After working for years for larger firms where he designed numerous large commercial and residential projects, Kent decided to start Johnson Design and lead a company in which he could be more hands-on, working directly with clients in the creative process. 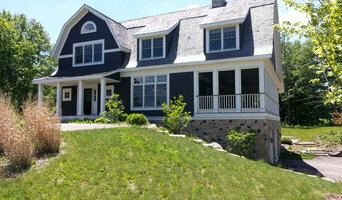 After two decades, Johnson Design has an impressive portfolio, with projects exhibiting a wide range of size and style. Our specialty is creating spaces for inspired living, believing that design has the power to enrich life. What does that mean for our clients specifically? We work with an owner to completely transform physical environments to not only meet their functional needs but to connect them to the surrounding world, foster creativity, boost productivity, maximize efficiencies and be responsible environmental stewards. plane [ playn ] 1 a : a surface of such nature that a straight line joining two of its points lies wholly in the surface b : a flat or level surface 2 : a level of existence, consciousness, or development. (Merriam Webster) Architecture by its nature deals with not only the physical aspects of our world but also the existential. Built planes define the space around us adding shape and focus, depth and containment. Existential planes allow our Hopes to be raised, our Visions to be realized and our Dreams to be grasped. The firm was founded in 2002 with 5 basic tenets to guide our services and design: -Search for Sincerity as our designs interact with the world around them. -Follow the Visions of ourselves and more importantly that of our clients. -Find Meaning in all we do, we say and we design. -Feel Passion in our quests. -Experience Compassion for those around us so we may leave behind a better place. Since our founding, we have applied these tenets to Residential, Hospitality, Corporate, and Health Care projects Russell E LaFrombois received his architectural education at the University of Wisconsin- Milwaukee, School of Architecture and Urban Planning, graduating with his Masters of Architecture in 1985. He is registered in the State of Wisconsin and has received his NCARB Certificate. Providing award-winning remodeling design using 3D software: when our clients see it, they get it. Making ideas real since 2002. Architecture, Custom homes, Home designer, Building plans, remodel and additions, 3-D models, Renderings. Louis Wasserman and M. Caren Connolly integrate the design of Architecture and Landscape Architecture from the very beginning of the design process. Our education, expertise and experience: our extensive research work: and our writing of award winning and best selling books on residential architecture give our small firm a "big view." 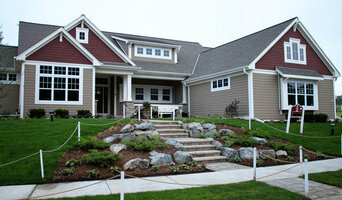 We create beautiful renderings and construction drawings for both builders and Homeowners. I focus on giving the client exactly what they need, and with as much creativity and efficiency as possible. Every conversation begins with an in-depth analysis of your needs. I serve clients and housing designers by creating fully developed construction documents and renderings, which streamline the building process and prevent confusion. Based in Sheboygan Wisconsin, Aspire Architecture & Design is a creative based architectural design firm the specializes in adaptive reuse projects in luxury residential architecture, restaurants and historic preservation. We strive for outside of the box thinking, sustainable and green design principles and utilize state of the art 3d visualization software. We are providing architectural photography services and have prints available for purchase. John Van Rooy Architecture is passionate about giving artful expression to the aspirations of clients for the places they dwell, recreate, and work. Experienced in commercial and residential design, the firm collaborates closely with clients in creating projects that are distinctive and fulfill a shared vision. The firm’s principal, John Van Rooy, brings the eye of an artist and the ingenuity of a craftsman to his work. Schooled in both Architecture and art history, John also draws on working experience in the construction trades to execute the pragmatic aspects of building design. Following the practice of integrated project delivery, John serves as the point person on projects, coordinating the efforts of Engineers, Landscape Architects and other consultants as well as working closely with the contractor early on in the project to oversee costs and quality. Prior to forming his firm, John was an architectural designer at Engberg Anderson, Inc. His portfolio includes mixed use retail/housing projects, museums, libraries, healthcare facilities, hotels and master planning brownfield sites into new communities. John is a graduate of the University of Wisconsin—Milwaukee School of Architecture and Urban Planning, where he received both his bachelor’s and master’s degrees. During that time John interned at the well-respected firm of Hammond Beeby Ruper Ainge Architects in Chicago. Away from his practice, John enjoys spending time with his wife and children, rehabbing their home, and fishing—especially for muskie—about which he is almost as passionate as he is about Architecture.